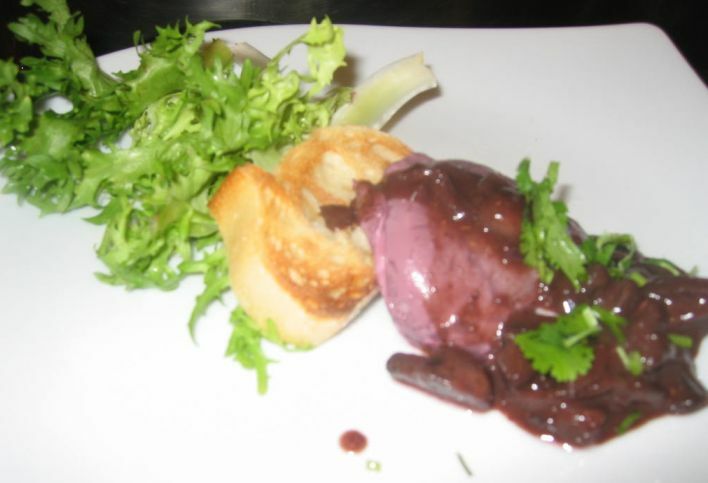 What is oeufs (French word for eggs) en Meurette? 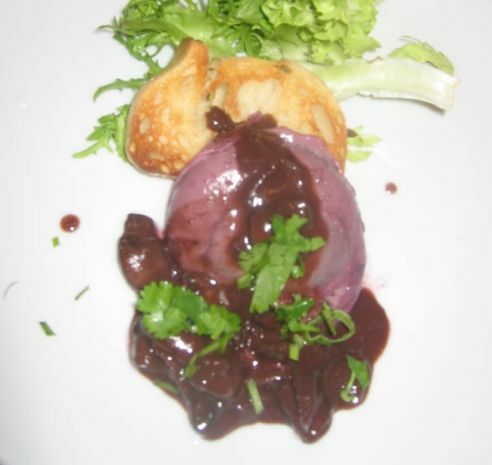 It is Eggs poached in a red wine sauce. 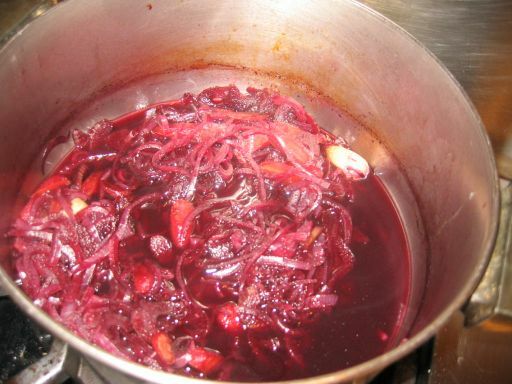 Sauce Meurette is one of the grand classics of French country cooking, a dark concentrated essence of red wine, stock, and vegetables. 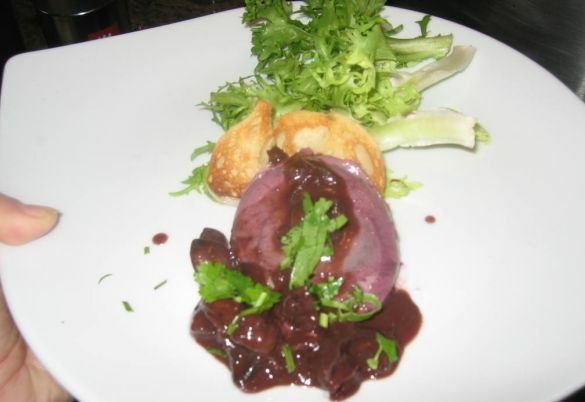 You would expect it to be paired with the equally powerful flavors of meat or poultry, but no..., Meurette is unique in accompanying fish, or poached eggs, as here. 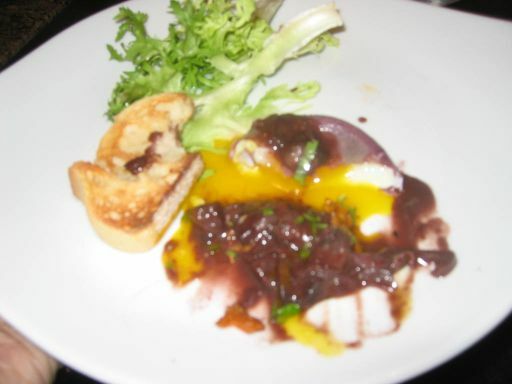 For extra flavor, I like to poach the eggs in the wine, which is then used for the sauce; they emerged an odd purple hue, but this is later concealed by the glossy brown sauce. For poaching, it's well worth looking for farm-fresh eggs as they hold their shape better than store-bought eggs. Oeuf en Meurette served with a few sprigs of salad frisee, a toasted bread to soak up all the goodness of the poached egg and the tasty sauce. 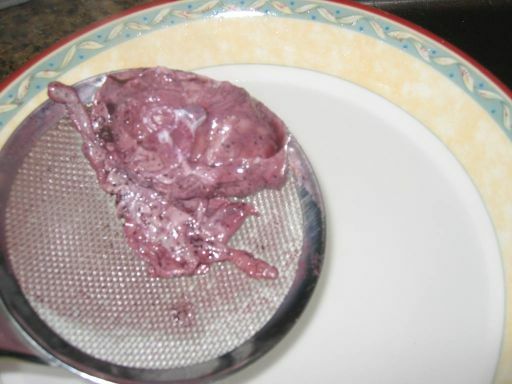 The poached egg in red wine soaked up the red wine et turned purple which makes it interesting to look at! You don't know what it is really until..
... split the egg up and the egg yolk comes out runny et yellow and then you figure out.. oh yes it is a poached egg! 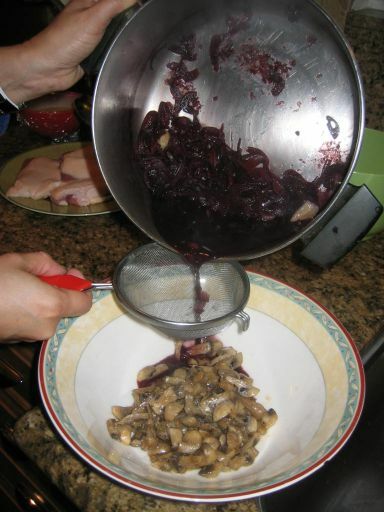 The Meurette sauce is also very tasty! Close look at the Charlotte. 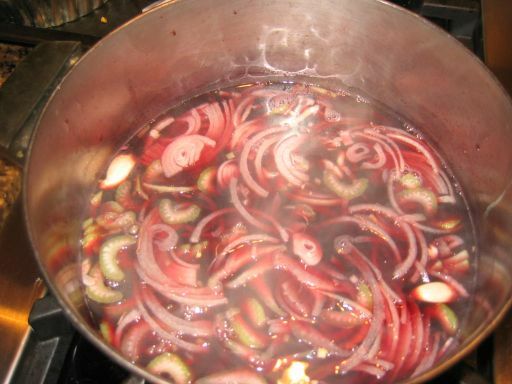 Red wine and Chicken stock is brought to a vigorous boil in a large shallow pan. 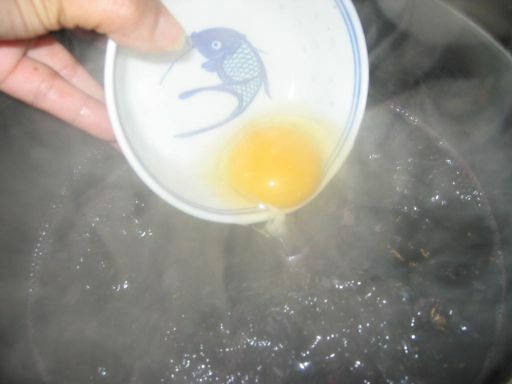 Eggs, one by one, is placed where the liquid is bubbling so the bubbles spin the eggs. Next the heat is reduced and the eggs are poached for 3 to 4 minutes until the yolks are fairly firm but still soft to the touch. 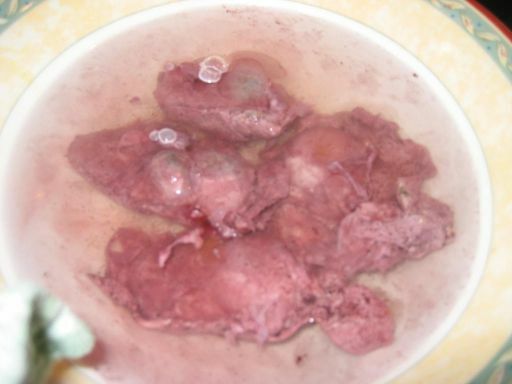 ..and place in bowl filled with cold water and then set aside. 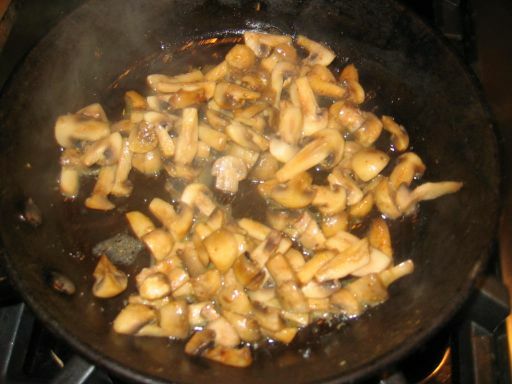 While the wine broth is simmering, I am sautéing the mushrooms with butter. 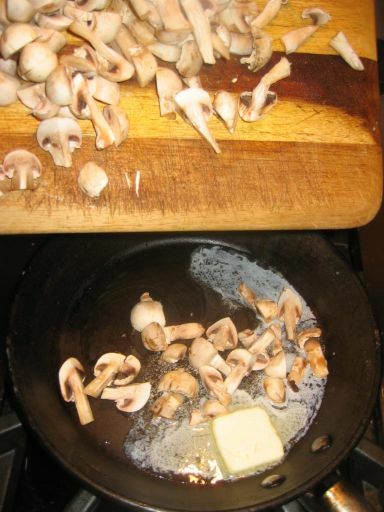 The mushrooms are now ready and set aside. 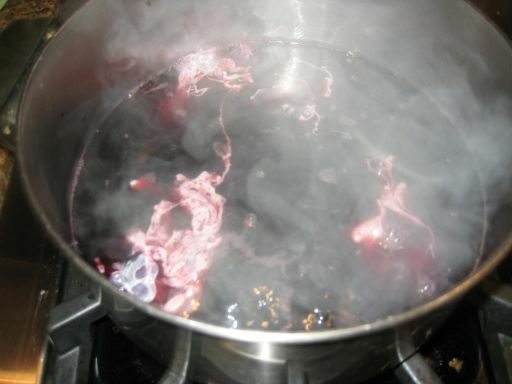 The wine broth is now reduced. 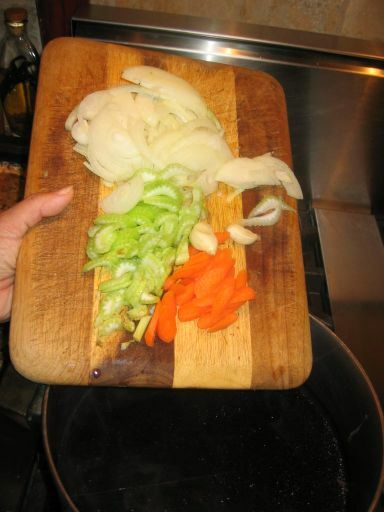 Straining the sauce by pressing on the carrot, onion, and celery to extract all the liquid and flavor. 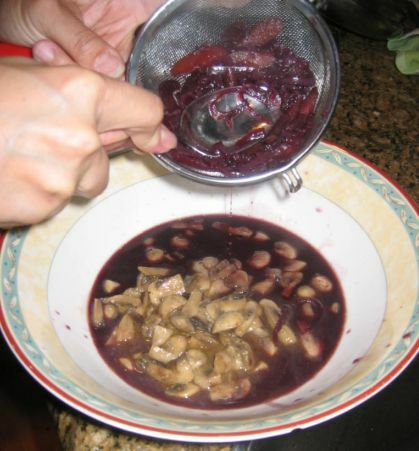 To thicken the sauce, beurre manie is added into the simmering wine mixture until the mixture becomes thick enough to lightly coat a spoon. 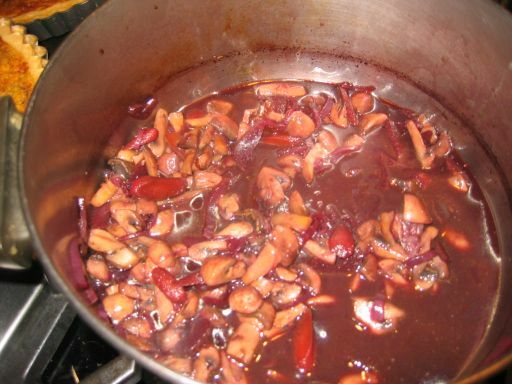 The sauce is brought to a boil, and then seasoned to taste.